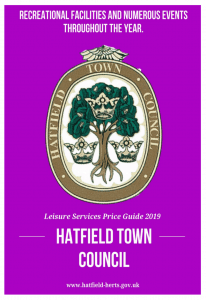 The Blue Plaque Scheme is recognised by Hatfield Town Council as playing an important part of commemorating the history of the town and allowing visitors and residents identify with it. 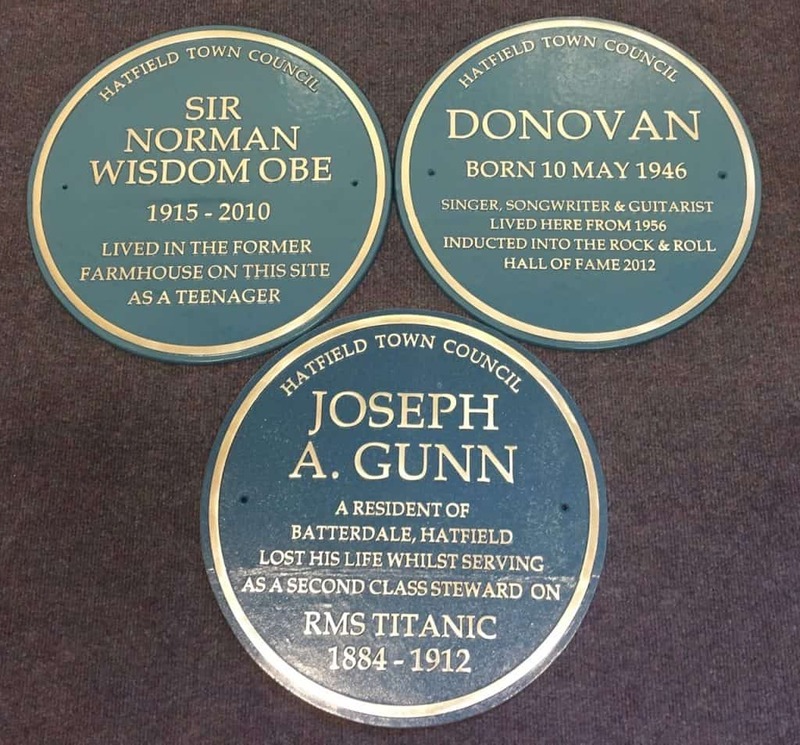 The Blue Plaques promote the recognition and awareness of people, places and events which have been of lasting significance in the life of Hatfield. The Town Council encourages suggestions from members of the public for suitable plaques. The following eligibility criteria will guide the appraisal panel in their recommendations. For plaques commemorating buildings the building must be either locally or nationally known as of special significance and worth of lasting recognition. For plaques commemorating events, a period of 10 years must have elapsed since the occurrence of the event. When locating plaques, the following key principles should be adhered to. A recommendation to locate a plaque which does not meet the three principles must be accompanied by sufficient explanation as to the reason it is deemed acceptable by the appraisal panel. Plaques should be visible from the public highway. Plaques for individuals should only be placed on a residence or site – not a redeveloped site. The Council shall retain ownership of all installed plaques. The Council shall enter into an agreement with the owner of the location where a plaque is installed as to the maintenance of the plaque. Should a plaque be removed from a building it will be returned to the Town Council.